Congratulations on winning peoples choice in my 'shoes photo challenge' well deserved, well done! LOOVE this !!! I’ve got a few sort of like this with some of my vintage cameras. I’ll have to post them for you. Thank YOU for the inspiration and sharing who inspired you. 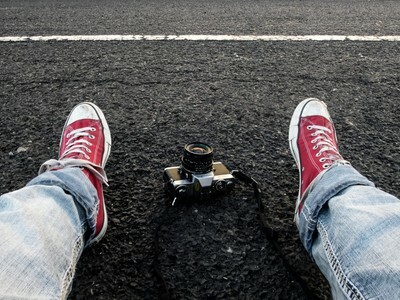 Love me some Chucks and of course vintage cameras !! Congrats on your win :):):) hella awesome capture!!! Inspired by the work of Arnaud Ele.